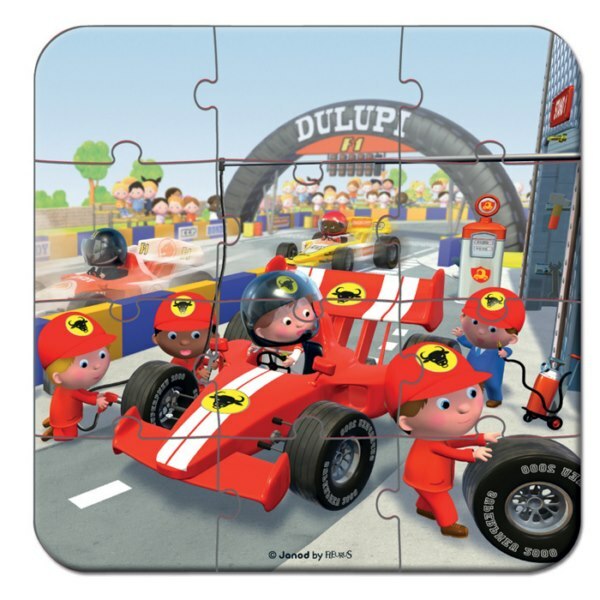 Tags: cars, janod, kids-puzzles, race car, racing-car, transport. 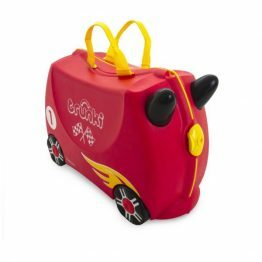 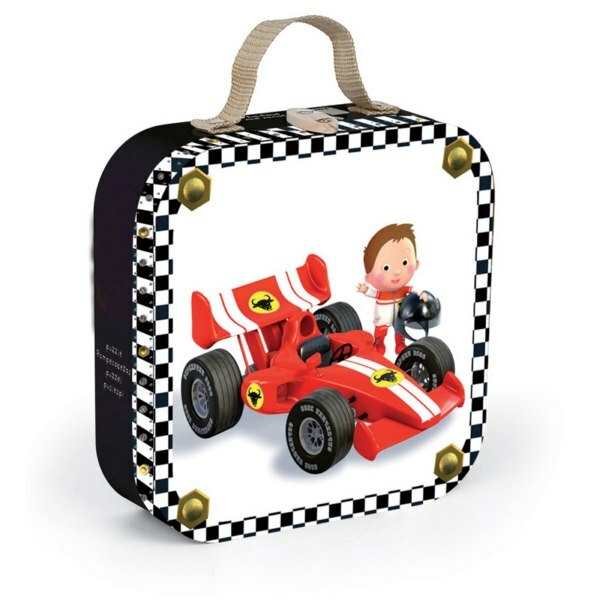 The Janod Gabins Formula 1 Car Suitcase Puzzle is designed to stimulate & delight kids imagination. 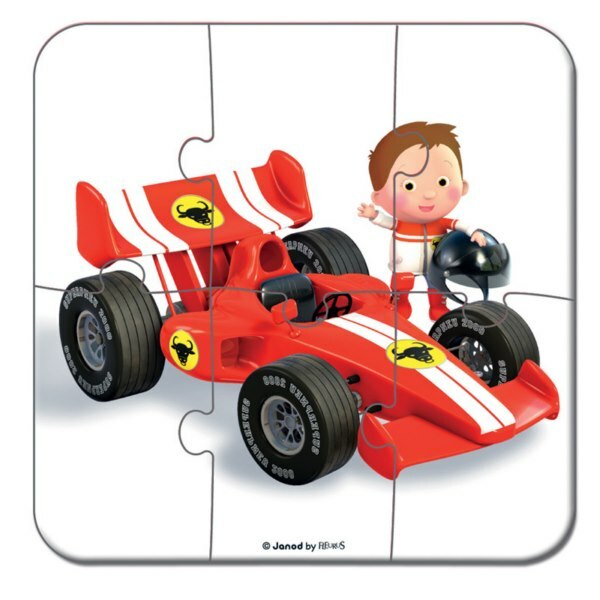 Gabins Formula 1 Car is a jigsaw puzzle to assist in challenging your skill level. 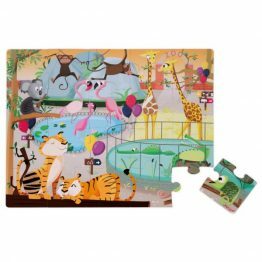 Gabin has four jigsaws made up of 6, 9, 12 and 16 pieces so the better you get at putting them together, the harder the challenge. 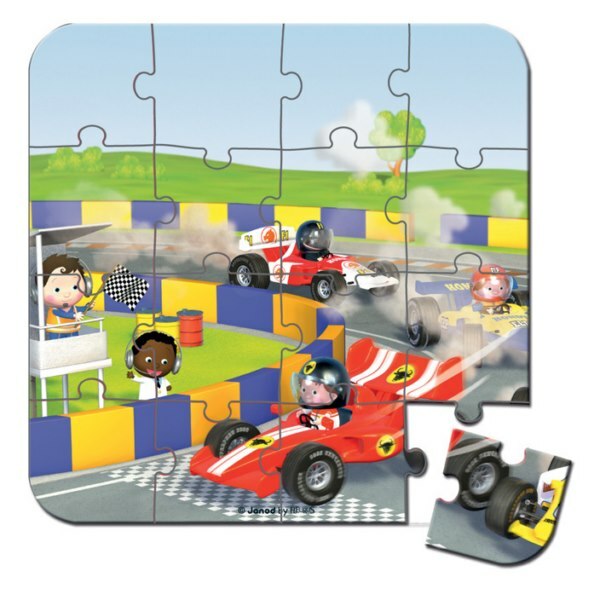 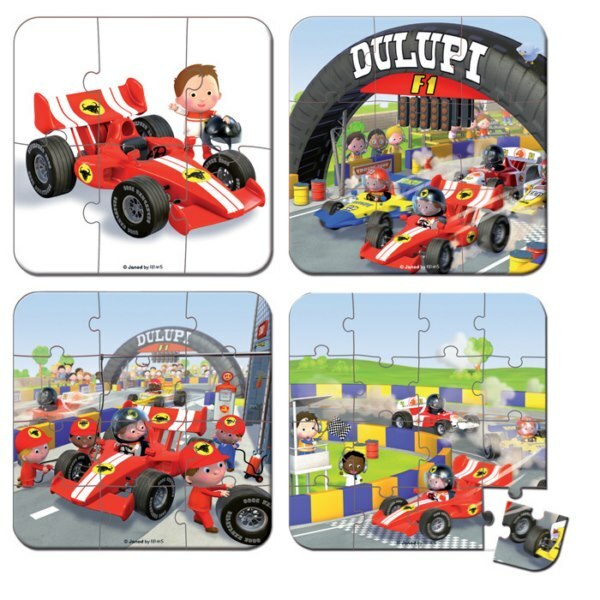 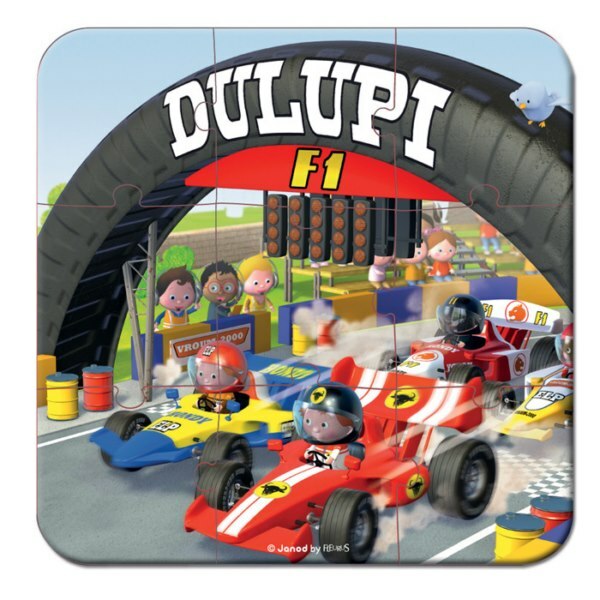 Help Gabin win his race by completing all four puzzles and scoring your own chequered flag. 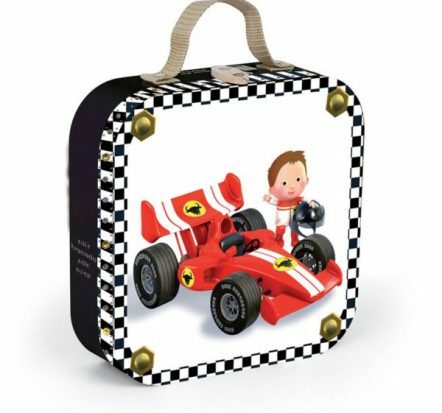 Presented in a suitcase box with a carry handle, Gabins Formula 1 Car will aid in motor skills and colour and shape recognition. 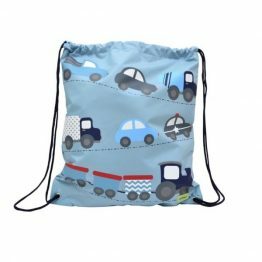 Great for gift giving, rainy days or while travelling. 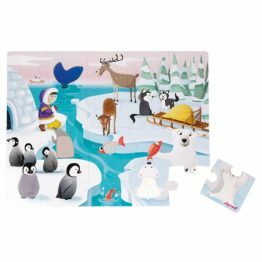 Each puzzle measures 20cm x 20cm when assembled.